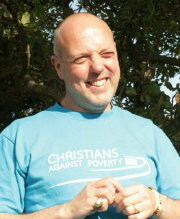 Christians Against Poverty is a national debt counseling charity with a network of 239 centres based in local churches. Christians Against Poverty offers hope and a solution to anyone in debt through its unique, in-depth service. Call 0800 3280006 to book an appointment. At CAP Southport we are here to help everyone get over their debt problems, it doesn’t matter who you are, what religion you are, nationality, sexual orientation, or how you got into debt. And the service we offer, like all CAP centres, is completely free.